We last spoke in 2006. What is new in your writing life since then? I'm happy to say I had two new books published in 2008. Shifty (Tricycle, 2008) is a young adult novel, and Cinder Rabbit (Holt, 2008) is a young chapter book. I wrote an article published in the 2009 CWIM (Children's Writers & Illustrators Market), and I've been teaching writing workshops at Stanford Continuing Studies, U.C. Berkeley Extension, and at local writers conferences. Note: photo by Sonya Sones. Congratulations on success of Shifty (Tricycle, 2008)! Could you tell us about the book? 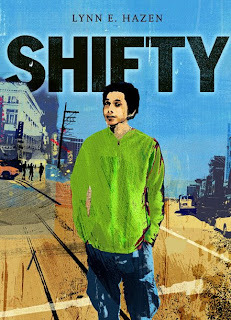 Shifty is a contemporary young adult novel set in San Francisco. Fifteen-year-old Shifty drives illegally, swipes court documents, and lies to police and social workers--all in an effort to stay out of trouble. Shifty parks in a handicapped zone and fast-talks his way out of a ticket by convincing the cop that an old homeless woman is his grandmother. He drives off without a ticket, but with a new pretend grandma in the back of his van. Now his younger foster sister has very opposing views of what to do with their new fake grandma. Both funny and tender, Shifty's misadventures touch on themes of resiliency, home, and lost-and-found family. And it all begins with a $275 burrito! I'm pretty jazzed about the reader response. Kirkus praised Shifty as "a realistic story that resonates." It was also chosen for VOYA's Top Shelf Fiction, as a CCBC Choice, and as a Smithsonian Notable. I had several sources of inspiration: the words "shifty" and "shiftless;" a couple of characters bouncing around in my mind; the city of San Francisco; an old woman and her cat; my experiences years ago working at a summer camp with children and youth in foster care; and the universal need for home. (Please see www.ShiftyTheBook.com to learn more about how these sources of inspiration came together). Let's see, the original "spark" occurred in a slightly sleep-deprived state in January 2003. I jotted down a few notes of dialogue between two characters which (over the next six months) eventually grew into a first draft. Shifty won the Houghton Mifflin Scholarship at Vermont College, which not only helped with my tuition, but gave me confidence as a writer. My faculty advisor, Alison McGhee, encouraged me with Shifty, as did Norma Fox Mazer. Shifty became by creative thesis for my MFA, then my calling card for finding an agent. After expanding and revising again over the next couple of years, Shifty was published in September 2008. Shifty is also being published in Australia and the U.K., so that is very exciting. 1. Finding or creating time to write and revise. 2. Believing in my characters, their story and my ability to capture it all on the page. How do you balance being a writer with the demands of being an author (contracts, promotion, etc.)? My agent, Jodi Reamer, is the contract pro so I am grateful for that. I am still working on a finding a good balance. Juggling is more like it. There are only so many hours in a day! As for writing and promotion demands, if I keep moving (or keep my fingers moving on the keyboard), I tend to get things done eventually. But "balance" to me also means sometimes doing nothing, going for a walk, visiting family and friends, or simply taking a nap. That does wonders for my "balance." "Lynn, stop that silly prank of unplugging your classmates' humongo electric typewriters, even if they are doing the same to you. Learning to type properly just might come in handy someday." To which I am sure my teen self would roll her eyes and say, "Yeah, sure." So far, as a reader, what were your favorite children's-YA books of 2008 and why? I love the picture book, Dinosaur v. Bedtime by Bob Shea (Hyperion). It's short, silly, fun and emotionally true. Perfect for growly preschoolers or growly writers. I can relate to the dinosaur as he grapples and growls through his many challenges. On a more poetic note, I also love Jim Averbeck's In a Blue Room, illustrated by Tricia Tusa (Harcourt). 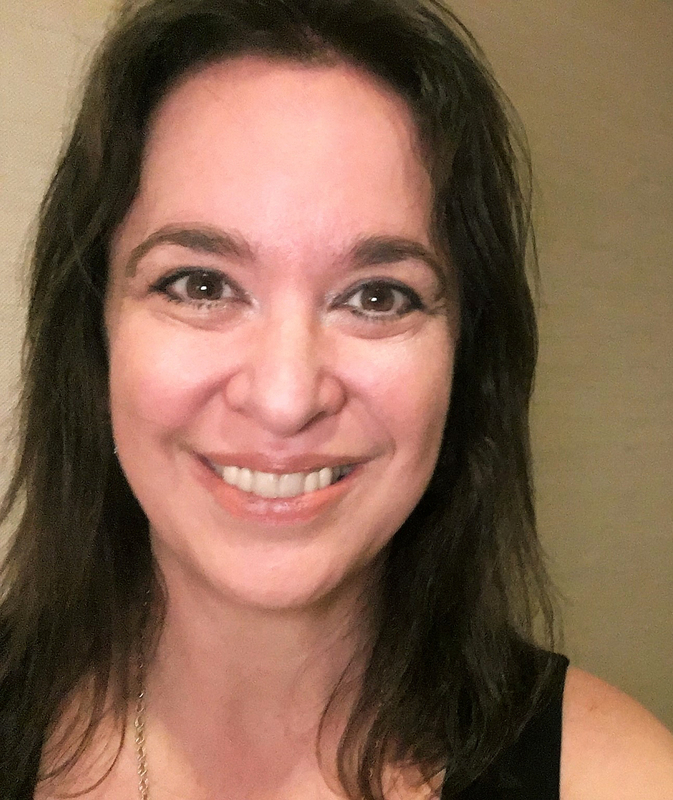 For middle grade, I loved Kathi Appelt's, The Underneath (Atheneum)(author interview). 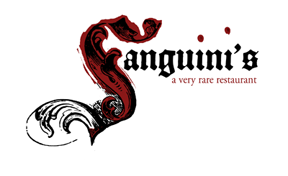 It is so well written, layered, and rich in evocative details. 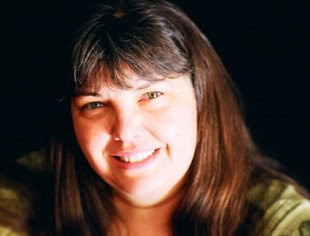 I interviewed her on my blog to understand some of her writing process. And my favorite YA? This sounds odd I know, but I'd have to say Shifty--because I invested a good portion of my heart writing it and it seems to be connecting with readers of all ages. The story and characters are still very emotionally real to me, so it's one of my favorite books of 2008! What do you do outside the world of writing, reading, and publishing? I'm a preschool teacher and director. I love to garden, hang out with my friends and family, go for walks and splash around in the water. The Amazing Trail of Seymour Snail (Holt, May 2009) is a young chapter book about Seymour, an artistic snail who is looking for a job in the wrong places. I'm working on a variety of other younger, middle grade, and YA projects, too, but I don't know what will be finished or published next. Readers can find out more at my Imaginary Blog or websites www.LynnHazen.com or www.ShiftyTheBook.com.